The Lana sandal is both comfortable and functional. 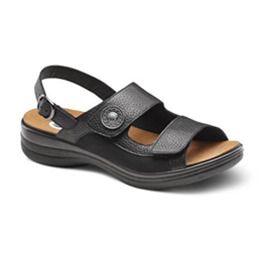 With stretchable Lycra® sides, the sandal helps accommodate bunions and other foot deformities. 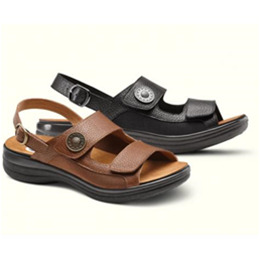 Features include a stylish button accent, a removable footbed for custom orthotics, contact closures over the forefoot and a buckled closure on the heel.